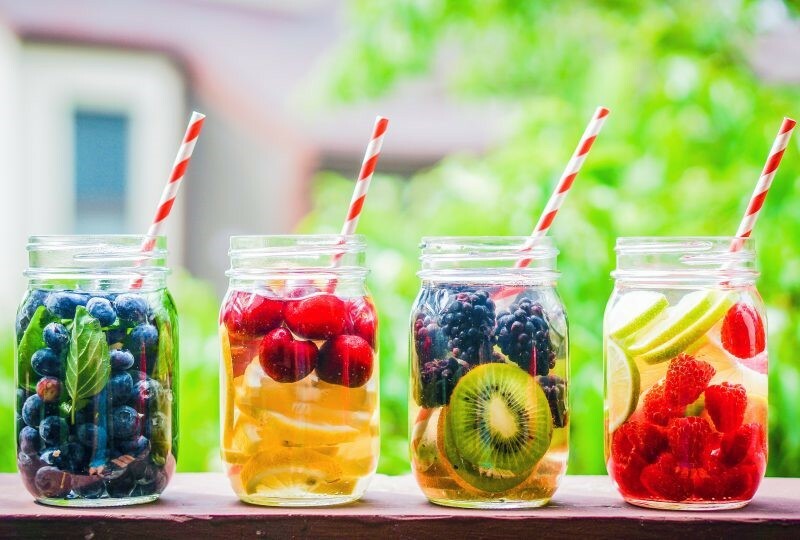 6 Refreshing Tastes of Summer! 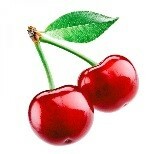 When I think of summer, I think of all the sweet smells and tastes of fresh fruits. Summer is my favorite time of the year! One of my favorite things to do is stroll through local farmer’s markets and take it all in! I appreciate all the hard work of local farmers and honor them with my support. I am always looking to add nutrients into my diet in the easiest way possible. Fresh smoothies will always be a go to for my family and me. I love the sweet taste of pineapple paired with some fresh baby spinach. Even though I am not a big fan of kale, when paired with a pungent punch of a granny smith apple, I can still get its health benefits into my diet. Below I’m sharing 6 of my favorite smoothie combos hoping to inspire your creativity and allow you to take in all the health benefits of this season’s fresh fruits and vegetables. Instructions: Place all ingredients into a high-speed blender and blend on high until creamy, smooth and delicious! I urge you to increase your nutrient intake today! I also urge you to stroll and support your local farmer’s markets. Healthy eating is easy, fun, delicious and nutritious! All That Screen Time is Affecting Your (And Your Children’s) Health! It’s no secret that screen time affects our brains, but the blue light emitted from all types of screens particularly affects children & teens. Blue light prevents the pineal gland, a pea-sized organ in the brain from releasing melatonin, the hormone responsible for reducing alertness and makes sleep more inviting. Blue light also suppresses delta wavelength production in the brain, which induces sleep; As well as boosts alpha waves, which cause alertness. You don’t have to stare directly at a screen for its rays to affect you: If enough blue light hits the eye, the gland can stop releasing melatonin. 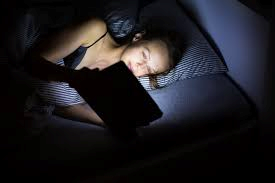 So, if your bedtime routine includes watching TV or taking your tablet or laptop to bed with you, this physically makes it harder to sleep, especially for sleep-deprived teenagers who are more vulnerable to the effects of light than adults. A 2014 poll by the National Sleep Foundation found that more than half of 15-to-17-year-olds routinely get seven hours of sleep per night or less. The recommended amount for teens is 8 ½ to 10 hours. 68% of these teens were also said to keep an electronic device on all night-a television, computer, video game or something similar. It was also reported that sleep quality was better among children 6 to 17 who always turned their devices off: 45% of them were described as having excellent sleep quality vs. 25% of those who sometimes left devices on. 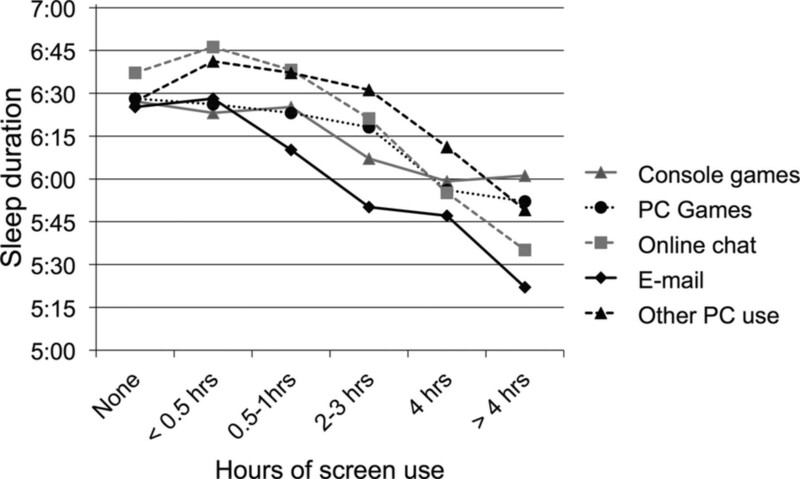 A study investigated by Figueiro found that when comparing melatonin levels of adults and teenagers looking at computer screens, she was astonished by the younger group’s light sensitivity. Even when exposed to just one-tenth as much light as adults were, the teens actually suppressed more melatonin than older people. Another study showed that teens who either excessively played video games or had intensive phone use were associated with poor perceived health, particularly when it negatively affected sleeping habits, which in turn was associated with increased waking-time tiredness. Girls with intensive phone use were also found to have more musculoskeletal symptoms both directly and through deteriorated sleep. A lack of sleep has been associated with ongoing depression, obesity, diabetes and cardiovascular disease. Musculoskeletal problems due to tech use are also becoming more of a problem amongst children and teens. 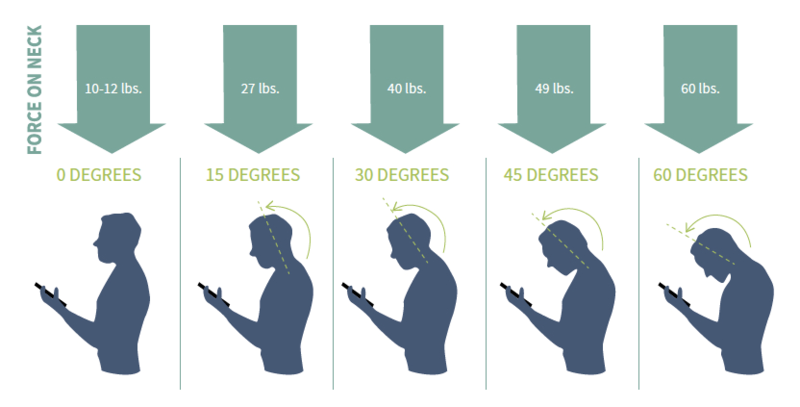 “Text Neck” is a new term for chronic flexion and anterior head malposition. When the head sits correctly above the body-with the ears over the shoulders with the shoulder blades pulled back-the head weighs approximately 10-12 lbs. For every inch forward the head moves, the heavier it is and more stress it puts on the neck musculature and spinal cord. A study by the Surgical Technology International quantified this problem: As the head tilts forward 15 degrees from neutral, the forces on the cervical spine and supporting musculature increases to 27 lbs. As the tilt increases, the forces increase to 40 lbs at 30 degrees, 49 lbs at 45 degrees and 60 lbs at 60 degrees. This malposition also loads the discs in the spine-eccentrically loading the spine causes cracks in the discs, slipped or herniated discs. This leads to stenosis or blockage of the spine, says Dr. Kenneth Hansraj, chief of spine surgery at New York Spine Surgery & Rehabilitation Medicine. It can also cause pinched nerves, arthritis, bone spurs and muscular deformations. To prevent developing tech-induced sleep deprivation and text-neck-shut the phones, TVs, computers, tablets, etc. off at least a half hour before bedtime. Hold hand-held devices at eye level. 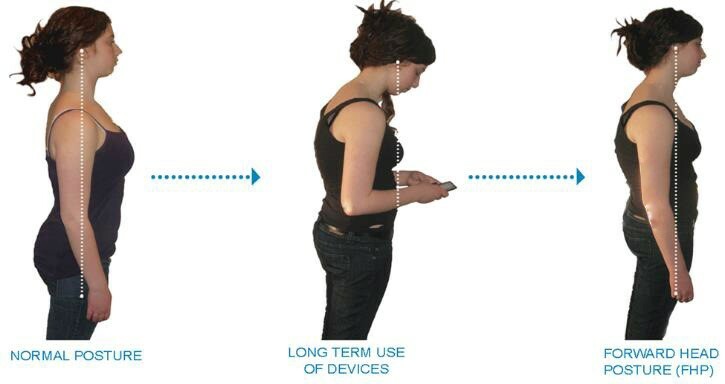 There are also apps available to warn you when your posture is not correct while on your device-The Text Neck Institute has developed the Text Neck Indicator, an interactive app that alerts users when their smartphones are held at an angle that puts them at risk for text neck. Does Happiness Improve Your Health? 13 Tips To Make Sure It Does! 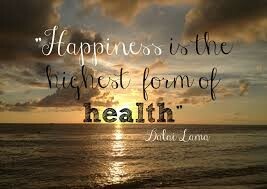 Being a happy, healthy person is much easier said than done. Everyone wants heath and happiness. Mounting Evidence: Happiness Improves Physical Health Anyone that cares about human health needs to care about happiness because studies increasingly show that happiness has an independent and powerful impact on physical health. It’s been studied in-depth. For instance, a 2017 meta-review2 of 150+ studies on the connection confirm with “almost no doubt” that happiness really can influence health. Another Harvard meta-review3 of 200+ studies found a connection between happiness and optimism and lowered risk of cardiovascular disease and abnormal body weight. A 2018 study4 led by Cornell University found that people who experience a range of positive daily emotions – from enthusiasm to calm – have lower levels of inflammation, which is linked to a lower risk of premature death and chronic disease. Other studies show happiness’ positive impact on everything from speeding wound healing to longer telomeres. And, while these studies show a strong association more than cause and effect, the evidence keeps growing that happiness affects health and aging deep down to the cellular level. 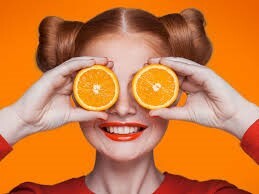 We’ll see more “eating for happiness” with diets and menus packed with more foods like tuna, salmon, nuts, seeds, bananas, green tea, dark chocolate, spinach, blueberries, and blackberries because they boost serotonin and other happiness hormones. Research mounts that food has a powerful impact on the brain and mood: For instance, a 2017 study from Deakin University (AU) showed that an anti-inflammatory Mediterranean-style diet high in vegetables, fish, olive oil and nuts reduced symptoms of depression in 32% of its sample. J. Walter Thompson (JWT) also named “Mood Food” as one its top trends for 2018, and we see companies like Monarch Airlines creating mood-enhancing food menus for passengers (like green tea and lavender cakes to calm anxiety) or even Pizza Hut introducing a mood-enhancing pizza. The really eye-opening research is around how our microbiome – that ecosystem of bacteria, fungi, viruses, and yeasts that live in our intestinal tract – plays a powerful role in regulating our emotions and determining our very happiness. All those bugs in our gut generate many of the transmitters and hormones that play out within the brain, like serotonin that regulates mood, appetite, sleep and social behavior. Studies even indicate that the lion’s share of our serotonin is produced in our gut, and disruptions in the microbiome are being connected to anxiety, depression, autism, and dementia. The research about the tight connections between the gut and mental health is so compelling that the Denver VA hospital is running a trial using probiotics to treat veterans with PTSD, and their findings17 of the impact that this simple food supplement has on how our brains and bodies respond to trauma are fascinating. It’s no newsflash that more people are eating for a healthier microbiome, meaning more soluble fiber (like brown bread, nuts, and seeds) and probiotic/ fermented foods like yogurt, kombucha, kefir, sauerkraut, and kimchi. What we will see more of is research specifically on the gut-brain-happiness axis, an exciting field called psychobiotics. But overall, the authors wrote, the evidence is strong enough to say that subjective well-being can influence health and longevity, “at least in some instances.” The question now, they say, is why happiness is linked to health for some people, but not for others. Here are some tips that will overall help your happiness and your health. A negative mind will never give you a positive life. Stop thoughts that are limiting and self-defeating like “I can’t do that “or “I’m not good enough “. Don’t believe everything you think. Negative and pessimistic thinking is unhelpful and will hold you back from achieving your goals and greater self-confidence. 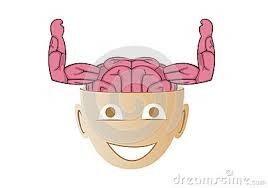 Replace negative thoughts with words that are positive and motivating. At the beginning, it is difficult, but the more you repeatedly send positive messages to yourself, the better you will feel. It is an extremely unhealthy habit, but even the most confident people do it: Comparing. We all do it. It’s human, but constant comparison with others make you feel bad about yourself and lowers your self-esteem. You begin to question your own worth. And this can lead to frustration, depression, eating disorders, over-spending, and simply to the feeling of not being good enough. Life is not a competition. If you make it one, nobody will win. It’s always a losing battle because the only person you’re really hurting, in the end, is yourself. Stop comparing and start living! You create your life. You have to take responsibility! Even if situations become unbearable, there is always a way out. You will always have the choice to make a change. Respect yourself and others will respect you, as easy as that. Don’t spend your whole life on trying to make everyone happy. Practice building self-awareness, discover what you are willing to do and what you don’t want to do. Start putting this into practice by saying no when something doesn’t resonate or align with who you really are. 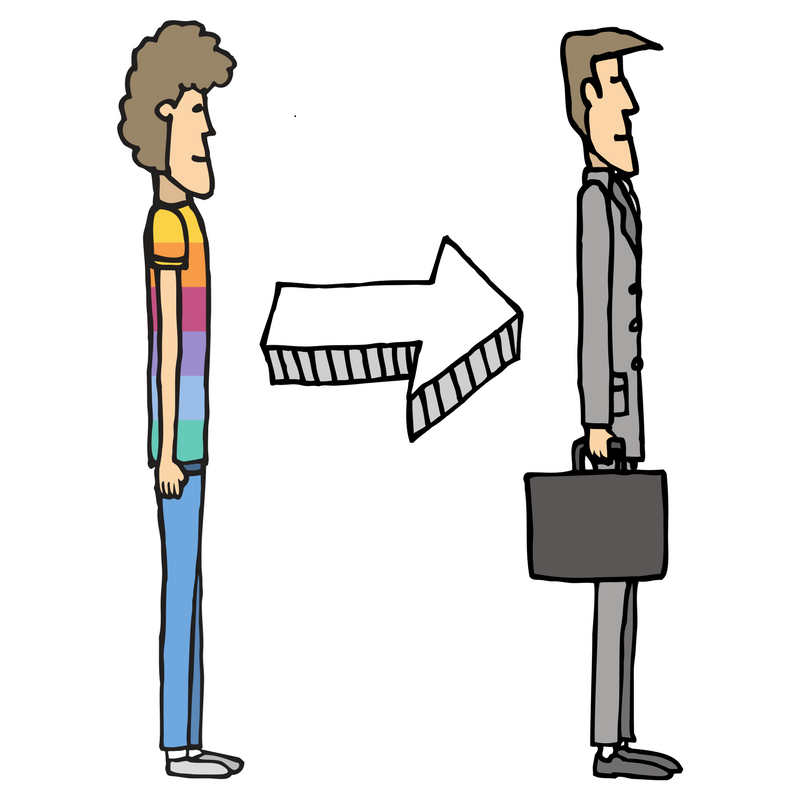 People might get mad at first, but eventually, most will come to respect you. Self-esteem is all about how much you feel you are worth — and how much you feel other people value you. Your level of self-esteem affects your happiness and everything you do. Don’t be somebody else. Take control of your life and live it by your own rules. Find a personal style that feels great to you and be proud of it. There is no one like you and that is your power! Eat a healthy diet, exercise regularly, drink plenty of water and sleep at least 7 to 8 hours per night. If you don’t get enough sleep, everything else will suffer. Sleep deprivation (which most of us suffer from) puts you in a pre-diabetic state, messes with your metabolism, makes you more likely to be overweight, increases your appetite, decreases your productivity, hampers your immune system, and makes you tired, moody, anxious and likely to be depressed. Nobody is perfect. You will always find someone who is more beautiful, smarter, richer, better or worse. But you won´t find someone who is perfect. Focus on what you have already achieved and reached, not what you lack and miss. Be proud of yourself and know your strengths. Avoid negative people, places, and things you don’t like or that make you feel bad about yourself. Being around toxic people can drain your energy, make you unhappy and insecure. Surround yourself with people who lift you up, give you energy and make you feel good about yourself. It is the only reality. When the past and the future feel painful, focus on the task at hand and do it with your full engagement. Enjoy your life, make the best out of it! When it comes to certain things, children do them way better than we do. Who said you have to get serious while growing up? Never lose the child in you, the childlike faith, childlike hope, childlike play and creativity. Feeling bad about things you’ve done in the past can create a pretty painful present. Remember that you can begin new any day. Your past does not predict your future. Gratitude is an attitude and a way of living that has many benefits in terms of health and happiness. Feeling and expressing gratitude, instead of wanting more and more, turns our mental focus to the good things in life, which will create more things for which to be grateful. As you awake each morning, give thanks for your breath and being healthy. Life is a gift, never forget that. 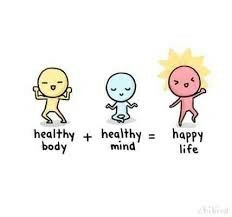 Have a Happy Healthy Day! 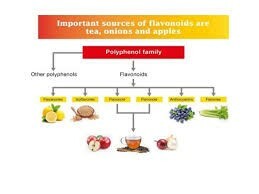 FLAVONOIDS – Flavonoids are plant chemicals that help create the bright colors in veggies, fruits, and flowers. Quercetin (found in cruciferous foods like broccoli or cauliflower) is one such flavonoid that fights allergy symptoms. 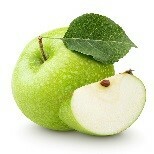 It’s available in supplements and found in many foods. OMEGA-3 FATTY ACIDS – In addition to other well-known benefits, omega-3 fatty acids reduce allergic reactions. Good sources include salmon, walnuts, grass-fed meat and flaxseed oil. 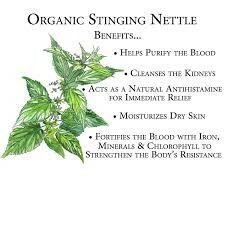 corroborated benefits of using nettle as a highly effective natural antihistamine. 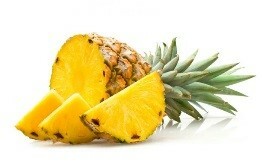 BROMELAIN – Bromelain is an enzyme found in pineapples. It’s commonly used for swelling reduction in the nose and sinuses. For treating allergies, one study suggests taking 400-500 mg three times a day. SALTWATER – A saline nasal rinse using a spray or neti pot helps lower symptoms by clearing allergens from nasal membranes. A saltwater gargle 1-2 times a day can also help soothe a scratchy throat. GINKGO – Most known for its energy-boosting abilities, ginkgo is a powerful antihistamine as well. It’s great for things like seasonal allergies, bronchitis, asthma and more. 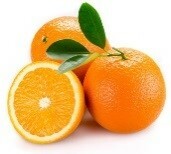 Eat an anti-inflammatory, alkaline diet – this will help reduce your risk of allergies & other health problems. Local Raw Honey (Bee Pollen) – The International Archives of Allergy and Immunology published an article in 2011 that tested how pre-seasonal use of birch pollen honey affected people with birch pollen allergies. They discovered that patients taking honey “reported a 60 percent lower total symptom score, twice as many asymptomatic days, and 70 percent fewer days with severe symptoms.” And they used 50 percent fewer antihistamines compared to the control group that took conventional meds. 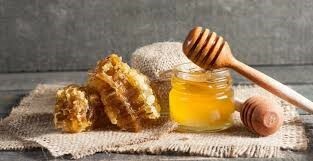 I recommend taking one tablespoon of RAW local honey daily, such as by stirring some into tea, adding some to oatmeal along with cinnamon, or putting some in your smoothies. What makes raw honey so powerful at reducing allergies? One reason is that it has bee pollen, which is known to ward off infections, allergies & boost immunity. The bees living in your area go from flower to flower collecting pollen that you are suffering from. It would make sense then that eating local raw honey will help build up your immunity to local pollen. Honey also has many enzymes that support overall immune function. Neti pots – neti pots are a natural remedy for allergies and many respiratory conditions because they help to clear the sinuses and remove congestion. Use of neti pots helps improve quality of life in sufferers of respiratory illnesses and cause little to no side effects. Clearing the nasal passages of allergens and irritants, this form of “sinus irrigation” originated in the Ayurvedic medical tradition hundreds of years ago. 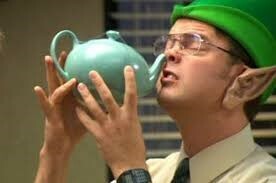 People living in India have received astounding results from using neti pots for centuries, and now you can, too. Essential Oils – One interesting study evaluated the effect that various essential oils had in killing the highly allergic house mites and found that eucalyptus oil ranked among some of the most potent. Essential oils for allergies work by reducing inflammation and improving detoxification of harmful bacteria, parasites, microorganisms and toxins that can trigger an attack. You can use eucalyptus oil for seasonal allergy relief in many ways: inhale using a diffuser, put into your neti pot, or add to coconut oil & use as a chest rub. Another powerful essential oil for managing allergies is frankincense oil. The almost unbelievable cancer-killing capacity of Indian frankincense has been well established in the scientific literature for several years, but its life-giving power doesn’t end there. Frankincense is used just as described above for eucalyptus oil. Probiotics – 80% of our immune system comes from our gut. One way to keep it healthy is to take a probiotic daily. Probiotics are beneficial “good bacteria” that live inside your GI tract and help defend you against infections, viruses, allergies and more. They are so effective that a study published in the journal Pediatrics discovered that women who regularly take probiotics during pregnancy significantly reduce their child’s risk of developing allergies. Next time your allergies flare up, try these natural allergy remedies for effective relief without the side effects associated with over-the-counter meds. 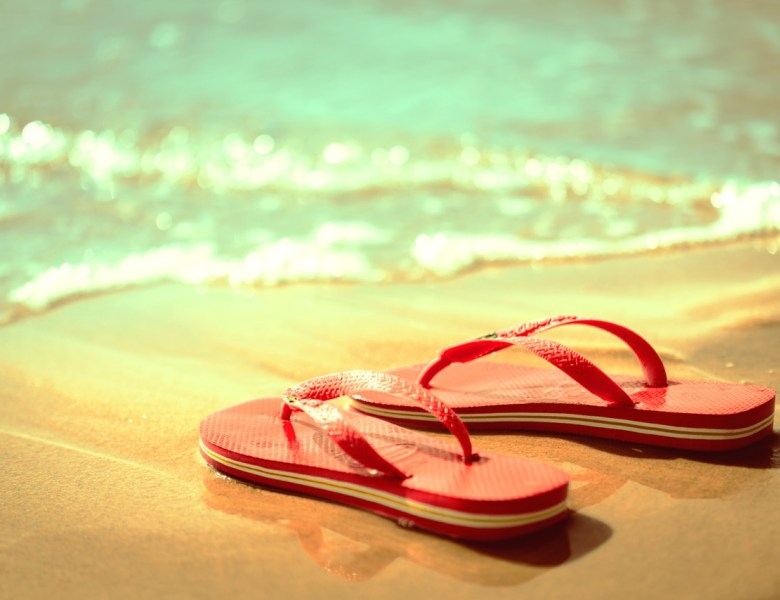 7 Reasons Summer Makes People Feel Good! If you catch yourself smiling more and feeling increasingly carefree during the longer days of the season, consider it a side effect of this time of year in the Northern Hemisphere: Summertime really does set you up to feel more joyful. 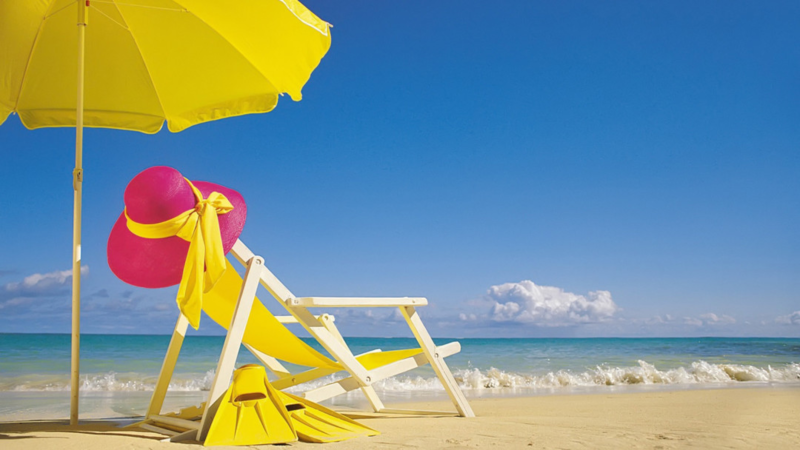 Check out the seven sneaky ways sunlight and warm weather conspire to make you happier, calmer and more connected. Thanks to summer’s stronger sunlight and the extra hours in the day to soak it up, you’re more likely to float through the day feeling energized and optimistic. It has to do with serotonin, a hormone that’s been dubbed the “happiness hormone” by scientists. When your body absorbs UV light, it produces more serotonin, and that pumps your mood, explains Ellen Marmur, M.D., assistant professor of dermatology at Mount Sinai School of Medicine and director of Marmur Medical in New York City. 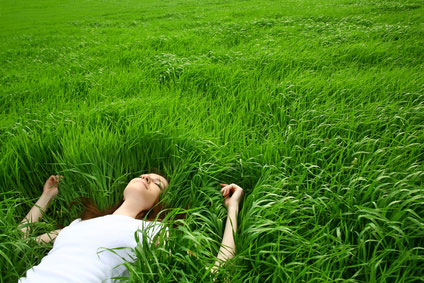 Exposure to sunlight also shuts down production of melatonin, a hormone that leaves you feeling sleepy and sluggish. It only takes a few minutes in the sun to rack up these benefits, says Dr. Marmur. But if you plan on being outdoors for more than 10 minutes at a stretch, be sure to slather sunscreen with an SPF of at least 30 on any exposed skin, so you don’t ruin your happiness haze with a painful burn. People are conditioned since kindergarten to think of summer as a break from routine and responsibility. And this “schools out” mindset carries over into adulthood, where many offices offer employees shorter hours and casual Friday dress codes. “Even though the work world operates year-round and responsibilities don’t suddenly stop, we reflexively feel more carefree during the summer months, like we did when we were kids,” explains Yvonne Thomas, Ph.D., a Los Angeles-based therapist specializing in the psychology of happiness. We all feel calmer and more relaxed when we’re surrounded by nature — a finding reported by researchers all over the world. Studies from University College Lon don and Deakin University in Australia show that going on a bike ride through a park, strolling along the beach or just inhaling the aroma of flowers in bloom makes us feel less stressed and more serene. Need more proof? 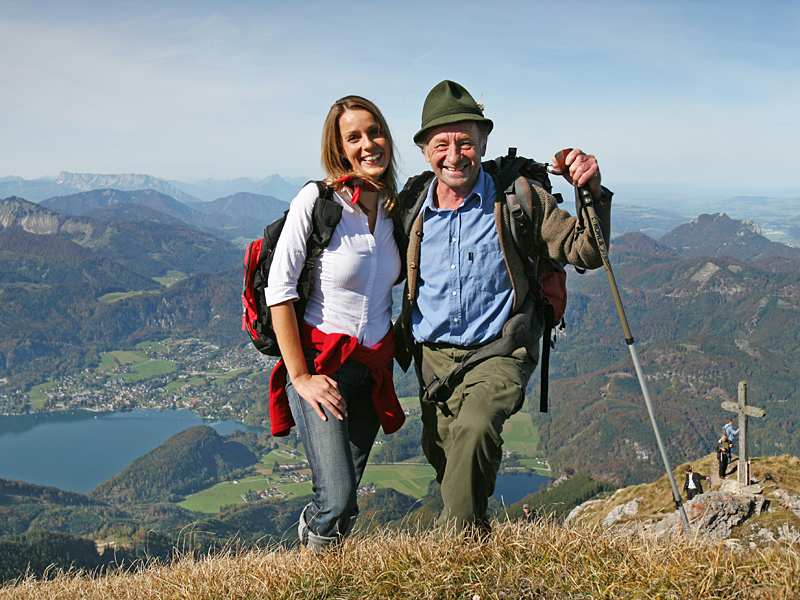 A French study published last year linked being in a natural environment with higher levels of personal happiness. And a 2013 study in the journal Social Science & Medicine found that spending time near a body of water in an urban area had a therapeutic effect — so city dwellers can reap the blissful benefits of nature as well. 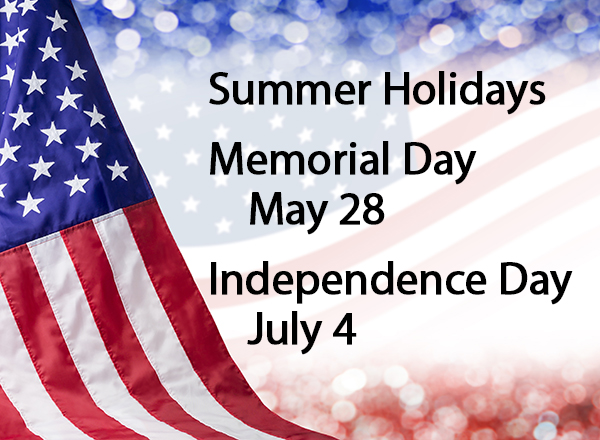 In many countries, summer provides official holidays and extended vacations to enjoy. It’s also graduation and wedding season — two milestones typically honored with ceremonies and parties. “All that good cheer makes us feel optimism and joy for the future,” says Dr. Thomas. Another result of good weather: You’re less likely to blow off a jog, bike ride or other activity. And research shows that increasing your heart rate revs the production of mood-boosting endorphins (it’s the mechanism behind the “runner’s high”). 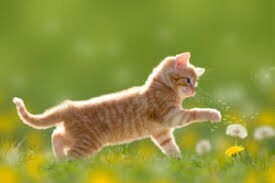 Even if you don’t take part in a specific activity, summer sets up the perfect conditions to move around in less constructed but equally bliss-inducing ways — say by spending the afternoon gardening or playing tug-of-war at a family picnic. Trashy beach books. Trips to the ice-cream shop. Afternoons spent lazing on a blanket or hammock. 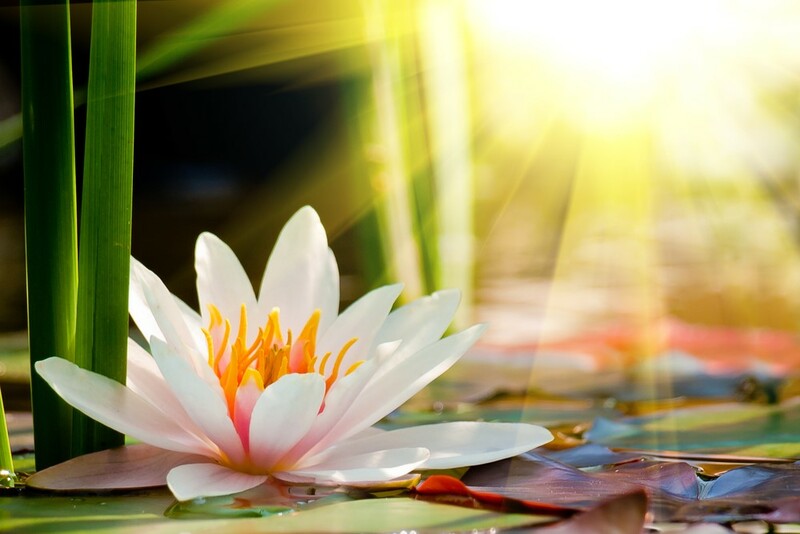 “Summertime is about taking time to smell the roses, so to speak, and giving yourself license to indulge a little without guilt,” says Dr. Thomas. We can’t think of a better reason to take a vacation day from work to lie in a chaise lounge or meet up with friends and chill out with a round of ice-cold drinks. 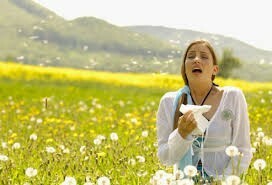 How Do You Know if You Have Spring Fever? 7 Clues! 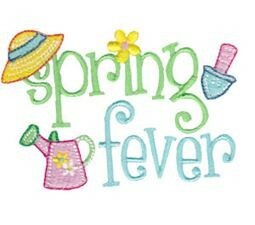 The definition of Spring Fever: a feeling of restlessness and excitement felt at the beginning of spring. 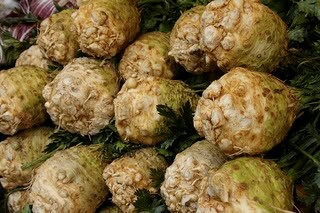 Looks are deceiving when it comes to celeriac, which despite its knobbed and gnarled appearance, is actually one attractive addition to your diet! Stock up on this vegetable in the spring months for its high levels of vitamin C, vitamin K, phosphorus, potassium, vitamin B6, magnesium, and manganese, which are important for blood health. In addition to these nutrients, celeriac is an excellent source of dietary fiber, which is important for digestive health and can help you feel satiated for longer. 4. I know I keep smiling. I just am happier. I feel like my energy level really jumps and it takes a lot more to aggravate me. I can get through anything that hits me, and I can’t wait to get outside and feel the sun on my face. It just makes me feel like anything is possible. 5. I also get really organized; I can’t wait to put my boots and winter clothes away and pull out my flip-flops and sandals. I like getting the house all clean and organized. I actually look forward to cleaning out the garage. 6. And I’m ready to get that first pedicure after the winter months of keeping my toes hidden. Of course, all the upkeep takes a little getting used to again, as I’ve neglected my feet during the cold months knowing no one is going to see them. According to Glamour magazine here are some of the nail color trends for Spring 2018: Metallic Gold, Dark Green, Zig Zag pattern, Purple, Pastels (Matte), Magenta. 7. It’s also time for fun warm-weather reading. I’m starting with Spring Fever by Mary Kay Andrews. So if you have any of these “symptoms,” don’t be surprised – you just have SPRING FEVER! 7 Amazing and Natural Facial Cleansers You Can Make At Home! What a Great Christmas Gift! So, we’re all working hard to put only good stuff inside our bodies. 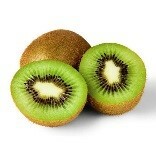 We have detoxed and healed our guts and eat healthy, good for us foods. But how are we taking care of our skin? Are we still using facial cleansers full of chemicals and perfumes? You do know that all those chemicals and perfumes seep through your skin, back inside your body – ruining that detox you just did. Plus they cost a fortune. So here are a few recipes for facial cleansers you can make at home. Everything you need is probably sitting in your cupboards. Melt the beeswax in a saucepan, using low heat. Add the jojoba or coconut oil and beat, using a hand mixer, for about 5 minutes or until it reaches a creamy consistency. 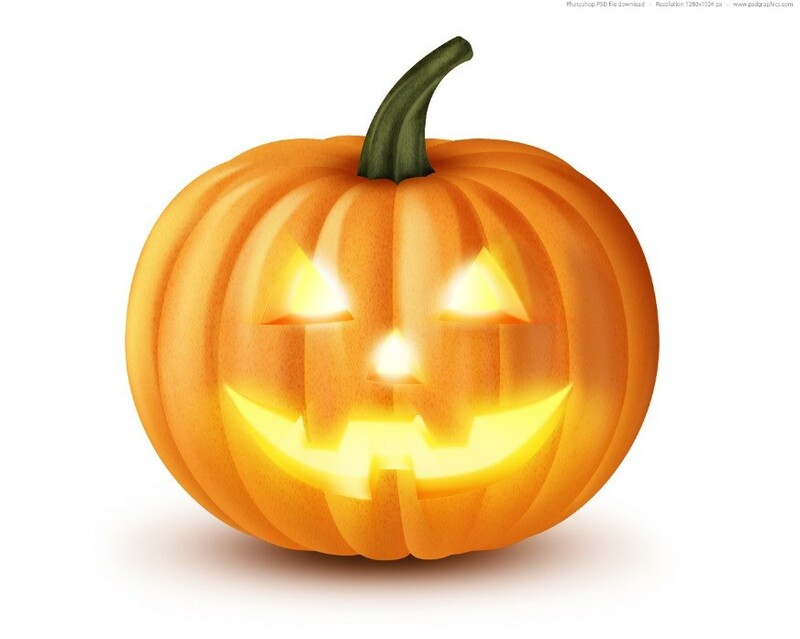 Heat the witch hazel and lemon juice in another saucepan just until warm, and then stir in the borax to dissolve. Add this mixture to the cream and beat with a mixing spoon until well combined. Set aside until the ream is cool. Mix in the lemon essential oil and spoon into a container. Pour ingredients into a food processor or blender mix until thickened, smooth and creamy. To use, pump a quarter-size amount of cleanser into your hand. Gently massage into your neck area, face, eyelids, and eyelashes for about one minute. Remove with a warm washcloth. Rinse washcloth in warm water and gently remove any remaining dirt or makeup off your face Keeps up to a year. Mix all ingredients together. Soak a cotton wool pad in the mixture and remove makeup. Repeat with fresh cotton wool pads to remove all makeup. 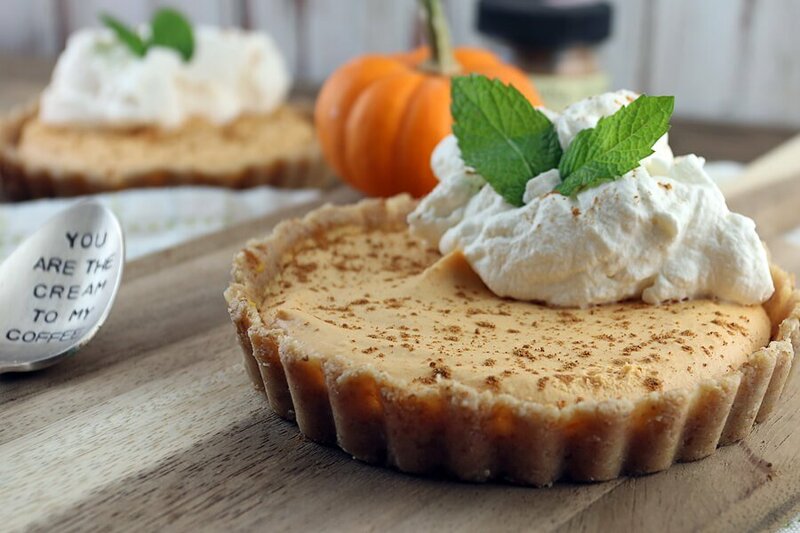 As you can tell by the small measurements of ingredients, this recipe is a one-time application. This mixture will not keep. Please use immediately. Mix ingredients together. Apply to face and neck and massage into skin for at least 30 seconds, allowing the cleanser to loosen dirt and debris. Rinse face with warm water. Mix your ingredients in a bowl and apply it to the skin in a circular motion with your fingertips for a minute or two. Rinse with warm water and a washcloth. You can ground your oatmeal in a food processor or with a mortar and pestle. Then, mix it with the baking soda and store in a sealed container. Whenever you want to wash your face, mix ½ tsp of the dry mixture with warm water. Rub gently on the skin in circular motions. Rinse with warm water and pat dry. So try some of these cleansers. You can make them at home and save some money and make your skin happy. Plus, they make great Christmas presents!